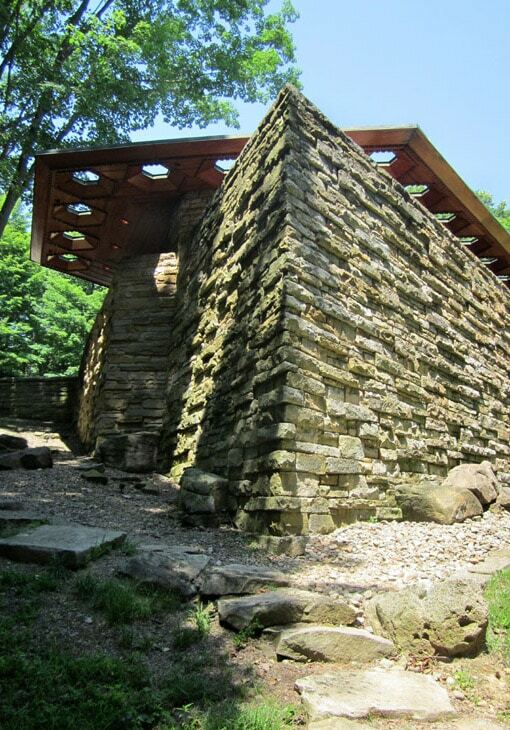 Not far from Fallingwater is Wright’s only other residential commission in Pennsylvania, Kentuck Knob (aka, the Hagan House). Wright was 86 when hired to design the home, and working on projects which would define his career (notably, the Guggenheim). 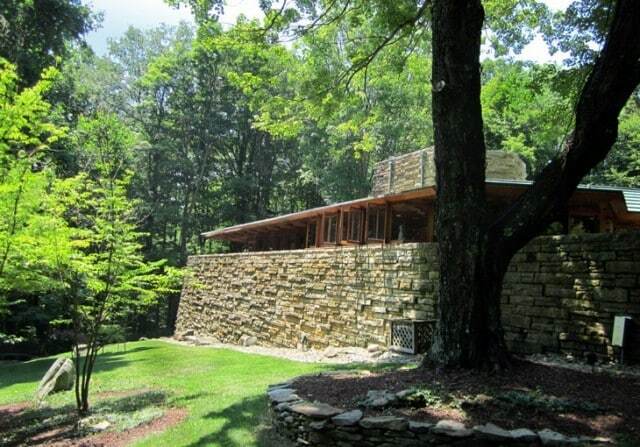 Unsurprisingly, this was one of the last homes Wright completed before his death. 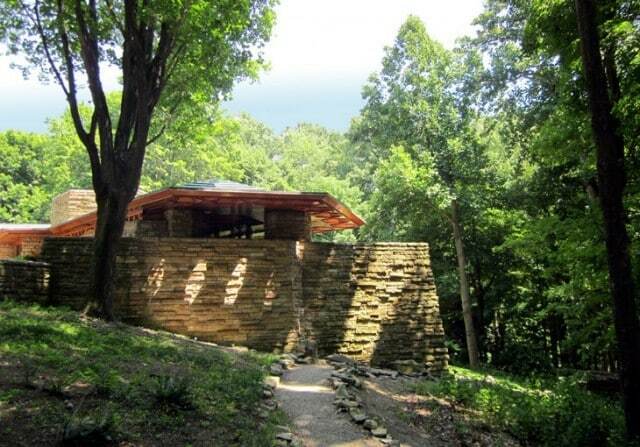 In Part one, I compared the size and significance of Fallingwater to Led Zeppelin. 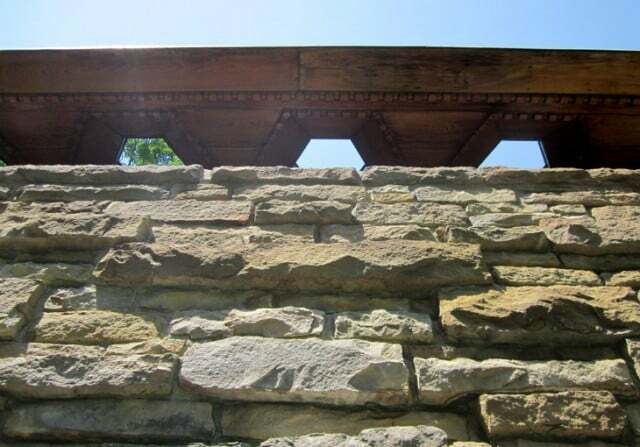 If Fallingwater is Zeppelin, then Kentuck Knob is the precious little Indie band that you secretly hope nobody else ever discovers, so they don’t succumb to the trappings of success and betray their artistry. Unlike the extravagant Fallingwater, this home’s origins are drawn from Wright’s Usonian houses: simple, affordably compact homes meant for America’s middle class population. While a modular grid system used in the Usonian model was employed at the Hagan House (hexagonal in this case), Wright embellished it with more detail and expanded the spaces to create something more befitting its affluent owners. However, the spaces retain a human scale, instilling the home with a beneficial “livable” quality. The kitchen forms the home’s core, and rises through the roof to create a shaft of natural light in the central space. Hallmark Wright details are evident, such as the open floor plan, frameless expanses of glass, and strong horizontal lines. 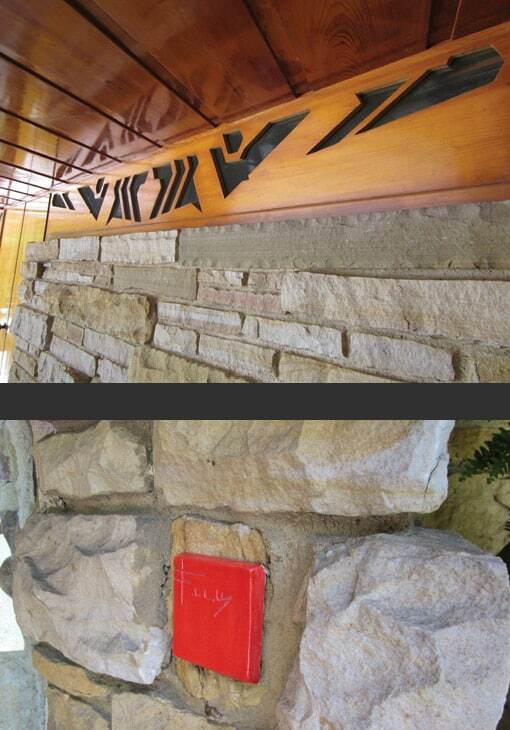 Bookmatched cutouts in the red cypress panels covering the clerestory windows add geometric interest both inside and out. The hexagonal skylights enable an intriguing interplay of light and shadow across the stone walls, which are set in a relief pattern to further emphasize the rough texture. While Wright could have positioned the house atop the hill, he preferred a less obvious site below the summit. This allowed him to cluster the car port and service functions of the home into the hillside – another nod to his concept of organic architecture, and the integration of architecture into the surrounding landscape. Detail view of wall stones, looking up at hexagonal skylights in the eaves.